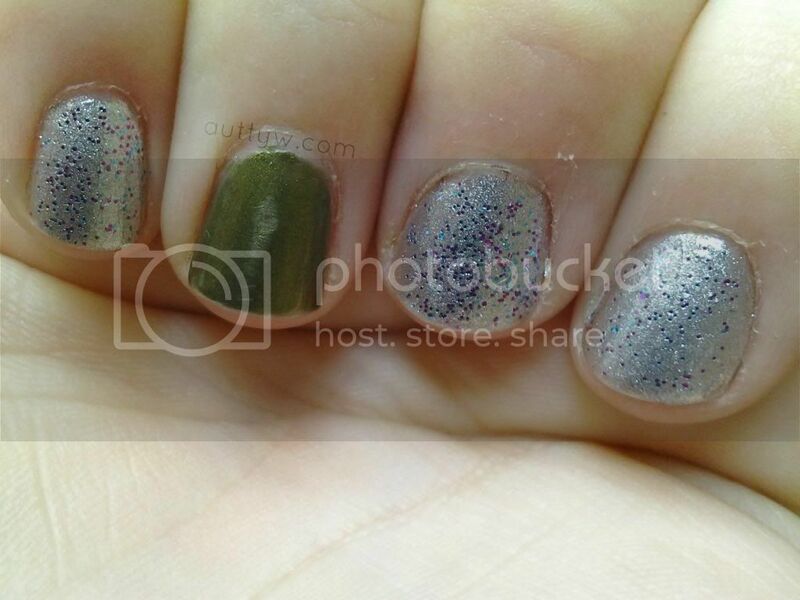 Chris found my memory card so I can actually do NOTD posts and finally get around to some swatches! I've actually managed to collect polishes that I have yet to try! I've got untried polishes! Squee! Okay, I know that is not something to be excited about, but damn I am excited! These two polishes I've worn once but never managed to get them to last long because I used too thick of coats and they took ages to dry! Le sigh. Don't you hate that?! Trust me, it's not that noticeable on the nail as it is in the pictures! No idea. Pft. I'm really liking this combo! Icicle is a foiled metallic silver polish and I really like it. 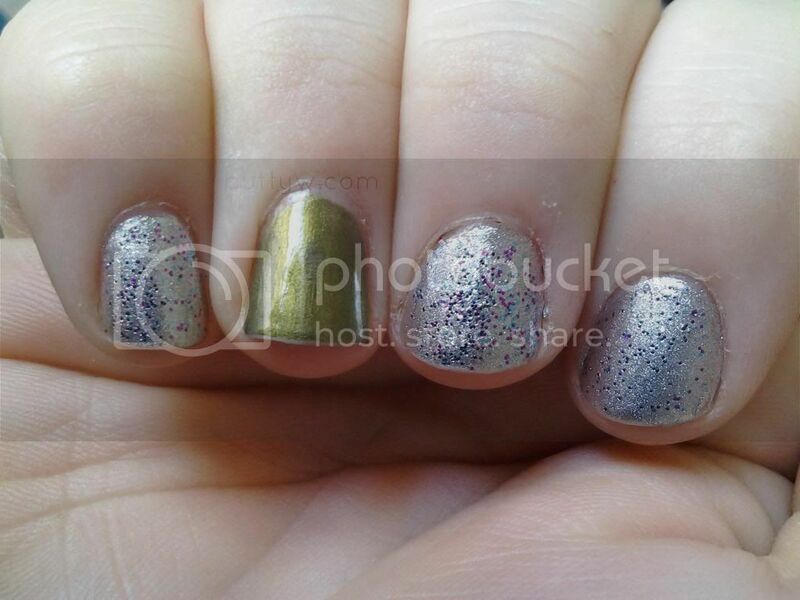 It looks weird in the pictures like it's bumpy but trust me, it's a pretty smooth polish. Both China Glaze polishes are from the 2010 and 2011 Holiday collections, so they might be a little bit hard to find :(. Peace On Earth is insanely pretty. This one is the one that I've been having the most problems with trying to use. It applies gorgeously, but if you apply thick coats, it takes ages to dry! This is 3 thin coats and it. Me gusta mucho!